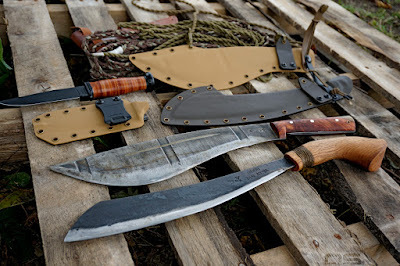 I think the Ka-Bar USN Mk1 can be filed under budget gear review because at the $60.00 on the dot that I paid for it, shipped, it's a great value. 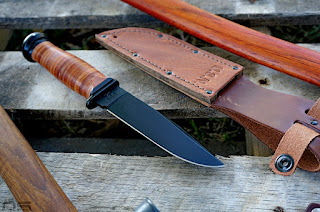 If you're going to buy one good outdoors knife, and need to limit the number of digits ahead of the decimal at two, then the Mk1 should make the list of considerations. It's not that "budget gear" can't be a good value or the other way around, it's just that like most things the market can be broken into tiers. 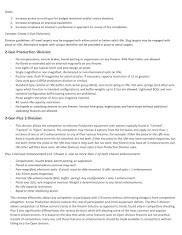 Schrade has some nice offerings for less money with what they claim to be 1095 steel and many companies are delivering offshore products with serviceable steel for less. The Ka-Bar might be more, or less, "budget gear" to some folks than to others, but regardless of how you categorize it, it represents a step up in all features from most knives coming in at anywhere from half as much to equal money. 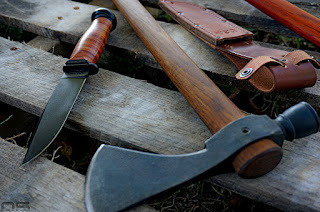 On top of that, even amongst outdoor knives, there are subcategories and the particular features of the Mk1 set it apart from nearly all the competition. It's US made and in that category, at this price point, the blade steels are often less desirable than the tried and true 1095 carbon steel found in the Mk1. In fact, finishing your own knife from blade blanks is about the only route I can think of to get into better steel at this price. The blade is full flat ground and relatively thin stock. Going back to the blade blank comment, my Enzo Trapper was O1 at about $50 but I sold it because I just don't like the Scandi grind. And, Enzo offers an FFG version which I would probably still own if I had gone that route instead. 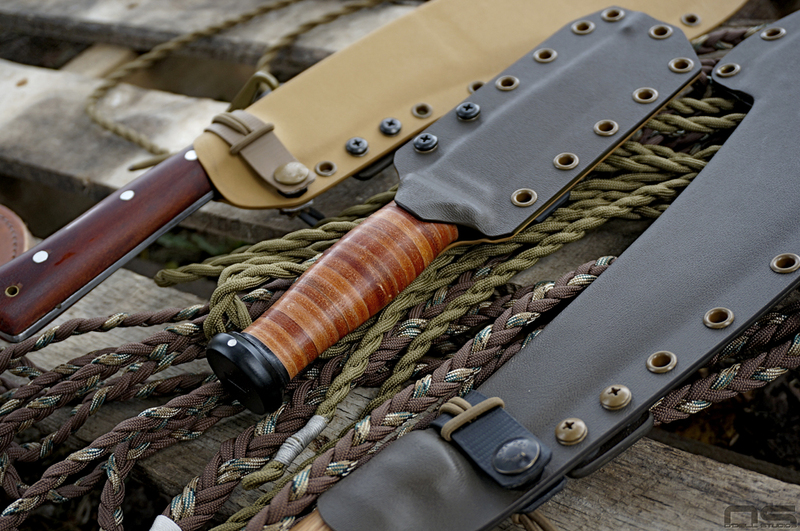 Other classic military style knives from Ka-Bar and Ontario can be had for the same or less money, but they typically use a somewhat low saber grind. It makes for a strong blade and is certainly functional. 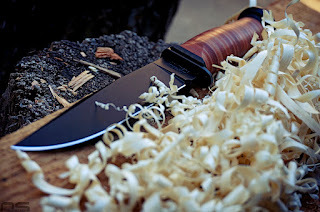 A full flat grind is not an upgrade from any other grind, it's just different and if your knife spends as much or more time skinning deer as it does processing wood then it's a design that might interest you. I know I get the appeal of thick knives that you can smash with a club to fell giant redwoods and go straight caveman with. They're big and heavy and awesome. They will also do anything you want them to as long as they are sharp and pointy. In the end, it's a matter of personal preference and often driven by the tasks you most need the knife to perform. However, it seems that if you are in fact looking for a FFG blade, the field gets just that much narrower. Another angle the Mk1 has going, classic or traditional styling. 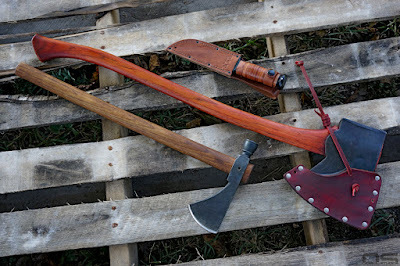 There might be some modern styled blades out there which might functionally compete, but if you're looking for something with classic personality a stacked leather handle immediately comes to mind with other natural materials like antler or bone or wood. The sheath isn't a throw away. All too often knives stay in a lower price category because virtually nothing was spent on manufacturing or designing the sheath. And this happens for a variety of reasons. Each user has his or her own needs and preferences for sheaths and it becomes difficult for the manufacturer to cater to everyone. 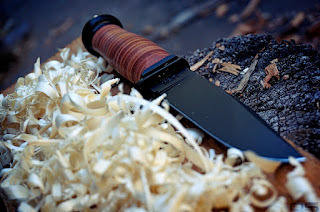 Pretty much everyone needs some way to cover the blade and carry the knife, so there will always be customers who are indifferent about the sheath and anything will do. A well designed and made sheath isn't cheap and some outfits offer their sheaths separately. To me, that actually makes a lot of sense. From the company's perspective the sheath design is a steep uphill battle and anything other than a well made unit simply doesn't make sense for the brand. I don't specifically like the Ka-Bar sheath on either model of the Mk1, but they did find a good balance. The leather sheath provided with the version I got is simple, well made, fully functional, and it has a really great smell. Don't judge, it does. 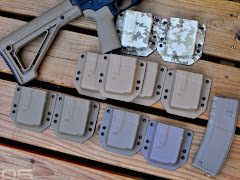 Still, it makes more sense in my opinion to sell sheaths separately - regardless of how good or bad one is - because I'd rather not pay for something I will probably replace. What would I do differently? Maybe some minor appearance tweaks, but truthfully, I think the Ka-bar Mk1 is done right. I understand the little swedge but it's something I always talk about - it's uncomfortable for thumb press cutting and this is one of the most common ways a knife is used. I like the way it looks, I'm not sure it has a real world function. I might blend the handle into the cross guard a little more rather than leaving a step, only because it's just another edge (or ledge) that can abrade your skin, though only in certain holds. The pommel is kind of huge, but it's neither good nor bad, I just think it would look better if it were a little smaller or maybe less circular. You know, the bottom line is, I like it. In fact, I would like to pose the question to anyone reading; what knife really competes with this one? Apples to apples. When you consider the steel, the grind, the size, the place of manufacture and the price, what else is there? Post your ideas in the comments. I want to address the stick tang if I may. I know a lot of you already know that there is virtually no real world issue with stick tangs compared to full tangs. There has been some knowledge conveniently forgotten over the years by people who insist that a knife must be full tang. Steel used to be forged with a hammer and anvil and no one had any interest in a full tang blade of any kind. For starters they wouldn't have wanted to waste the steel on it. Swords put under tremendous stresses were stick tang, same with knives, meat cleavers, and on and on. Strength wasn't an issue. Parts of the blade can be heat treated differently to address the stresses each section might endure and in fact many forged blades would likely bend or flex significantly long before they would break if they would break at all. Furthermore, depending on the balance desired for the tool or weapon, a stick tang offers an advantage. Handles for stick tang blades are simpler to replace for someone without sophisticated tools and the list of advantages goes on and on. All too often a stick tang is looked at as some kind of step down from a full tang but about all it really amounts to, particularly with modern, very well made steels, is marketing. Full tang knives are simply easier and cheaper to make when your steel arrives in sheets that you stamp out with a massive press. The handles are simpler and cheaper to assemble and to form. Less skill, less money, cheaper. These are all advantages for the manufacturer and are easy to sell if they can convince the customer that it's "better" than the alternative. In fact, if you think about how a blade is stamped out, Ka-Bar is wasting that bit of steel on either side of the tang because it wouldn't cost them any more to stamp a full handle section than it costs them to stamp a narrow tang. There are infinitely more interesting ways to assemble a stick tang knife, to include stacked leather, than there are with scales on a full tang. And because of the weight issue, "full" tangs are frequently lightened with cutouts which produce the same "weak points" as any other design. 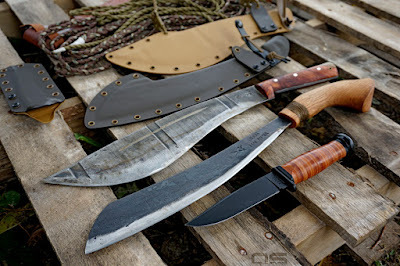 In short, there are no real world disadvantages to stick tang knives and in many instances there are important advantages. Full tang knives are the result of modern manufacturing practices and little else. Well, you may say, there are historical examples of full tang knives. 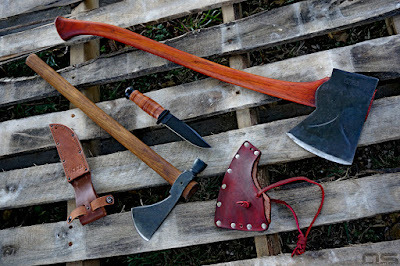 As near as I can tell they were often kitchen or utility knives, consumable at a time when everyone lived by their tools, and therefore quickest and easiest to produce. I think what it boils down to though, is decoration. As I mentioned, a stick tang provides a medium for decoration. The maker can stack up all manner of materials and fasten ornate pommels for an attractive piece of art and weaponry. And, if the pommel was a popular device for bludgeoning people with, and I think it was, then it makes sense to use a stick tang. How did Ka-Bar do with this knife though? Well, heavy whittling sessions to dull the edge show the kind of edge retention one would expect from 1095 and sharpening meets expectations as well. I know that everyone seems to like watching knives baton wood but seriously, what a knife will do well is immediately apparent in its design and geometry. A knife is not an axe, a small knife is not a big knife, a thin knife is not a thick knife - you get the idea. Cutting mediums like wood and cardboard create baseline performance results for edge retention and through sharpening the metaphorical picture usually becomes clear. Fit and finish is spot on as you can clearly tell in the images. The bottom line? US made 1095, with classic design at $60.00. What else compares? Put your choice for a similar alternative in the comments. Thanks for reading. My own homemade kydex sheath for front side horizontal carry. Though I admit, a leather sheath is just right for this blade. Just a shout out to Matt over at Best Pocket Knife Today. He recently contacted me about doing an interview and it is now posted for your reading pleasure at the link (pic) below. I agreed to do the interview because you don't have to read many knife reviews on his site to see that he tells it like he sees it. I can appreciate that and I feel comfortable telling others to stop by and see what's going on over there. A big thanks to BPKT!